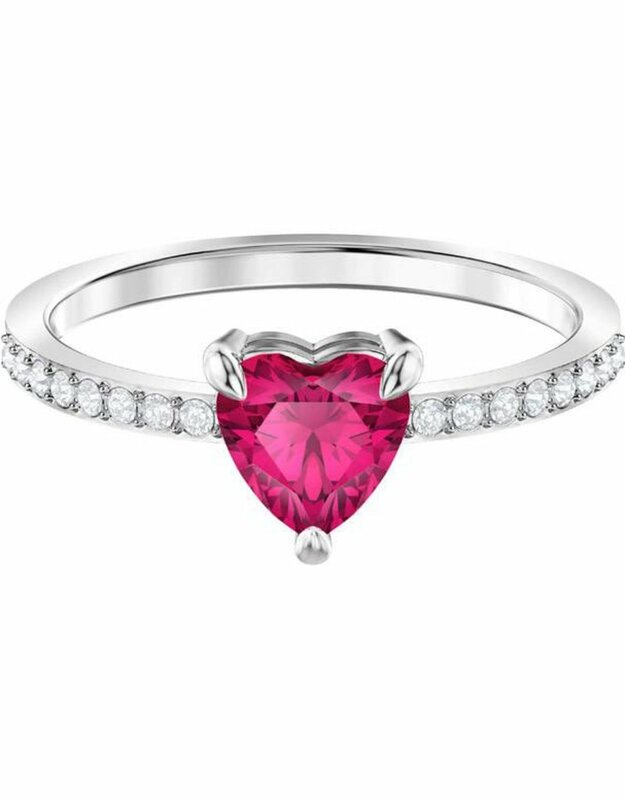 Get to the heart of the matter with this stunning ring. 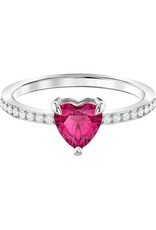 The rhodium-plated band, encrusted with pavŽ, sparkles with a red heart-shaped crystal. A romantic and feminine gift, which could be worn solo for subdued style or stacked with different designs for an on-trend aesthetic. Matching items are available.